Last month when Edwin Jackson threw a no-hitter against the Rays in Tampa Bay, I wrote a post about the weird coincidence between the evening's odd baseball events (an 8-walk no-hitter, the Phillies playing a road game in their home park) and the lunar eclipse that occurred that night. It was not only a lunar eclipse that night but also a full moon and I noted the other strange coincidence: the previous no-hitter (Roy Halladay in Florida) was also on a full moon. So you could imagine I was pretty stunned when I learned this evening that Matt Garza had thrown a no-hitter in Tampa Bay against the Tigers because tonight is a full moon. That's 3 straight full moon/no-hitters. Since we're on that topic, here's a superbly written article about baseball and metaphysics. Very tongue-in-cheek, almost satirical actually but it's still a great read. Very impressive and, despite the absurd hyperbole, much of it is true. All these variations, all these hints of arbitrariness, are absolutely crucial to the aesthetics and moral metaphysics of the game because they remind us that fair territory is, in fact, conceptually limitless and extends endlessly beyond any outfield walls. 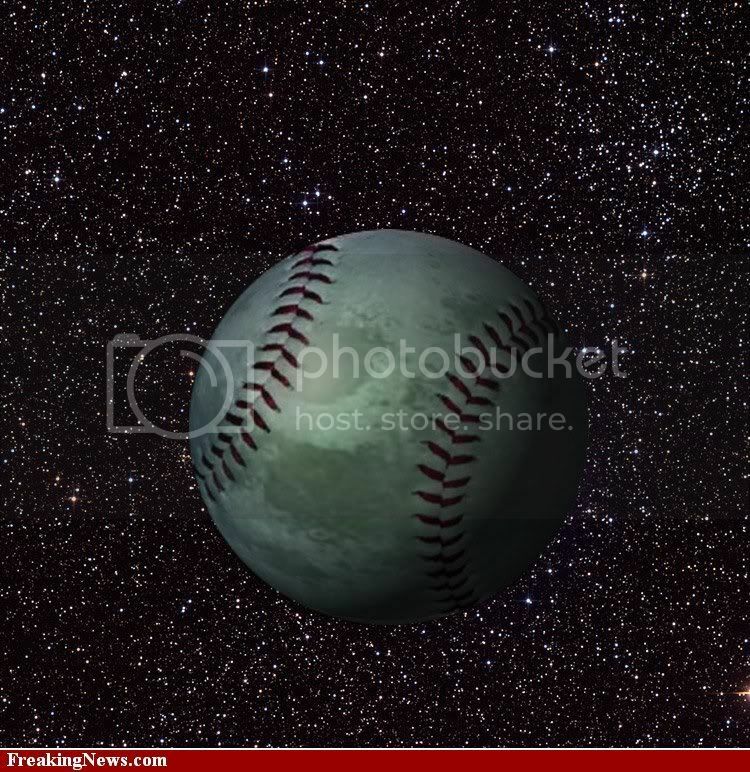 Home plate is an open corner on the universe, and the limits we place on the game’s endless vistas are merely the accommodation we strike between infinite possibility and finite actuality. They apprise us, yet again, that life is ungovernable and pluriform, and that omnia mutantur et nos mutamur in illis. They speak both of our mortality (which obeys no set pattern or term) and of the eternity into which the horizons of consciousness are always vanishing (the primordial orientation of all embodied spirit). And something similar is true of the juncture of infield and outfield, where metaphysics’ deepest problem—the dialectical opposition but necessary interrelation of the finite and the infinite—is given unsurpassable symbolic embodiment. Really, the game has such an oddly desolate beauty to it. Maybe it is the grindingly long, 162-game season, which allows for so many promising and disheartening plotlines to take shape, only to dissolve again along the way, and which sustains even the most improbable hope past any rational span; or maybe it is simply the course of the year’s seasons, from early spring into mid-autumn—nature’s perennial allegory of human life, eloquent of innocent confidence slowly transformed into wise resignation. Whatever it is, there is something of twilight in the game, something sadder and more lyrical than one can quite express. It even ends in the twilight of the year: All its many stories culminate in one last, prolonged struggle in the gathering darkness, from which one team alone emerges briefly victorious, after so long a journey; and then everything lapses into wintry stillness—hope defeated, the will exhausted, O dark, dark, dark, all passion spent, silent as the moon, and so on. And yet, with the first rumor of spring, the idiot will is revived, the conatus essendi stirs out of the darkness, tanha awakens and pulls us back into the illusory world of hope and longing, and the cycle resumes. A much more eloquent and academic version of George Carlin's classic sermon. As an emissary from them Fightin' Phils though might I please note that Roy Halladay pitched a perfect game under the aforementioned full moon. Though of course a no hitter is included within a perfect game, so there ya go. Thanks Bobby. Halladay was indeed perfect that night against the Marlins though for the purposes of this full moon/no-hitter coincidence he's lumped in with Edwin Jackson's ugly duckling last month. Garza actually only allowed one baserunner today and then erased him on a double play. Brad Lidge provided quite a scare for you guys today, huh? Pardon my mucking about w/ your syncro-mesh! And yes sir! Lidge loves to try to give away a ballgame. Luckily he doesn't seem to do so as successfully as he did last year.